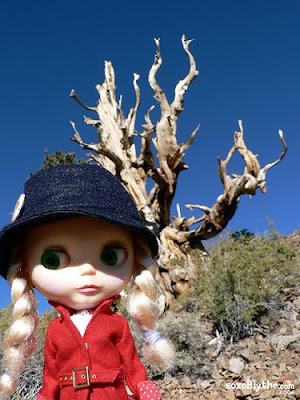 Leigh poses with an ancient Bristlecone Pine tree! On our way back from attending a friend's wedding in the Wine Country, we stopped by the Bristlecone Pine Forest off Highway 395. After a few hours' drive it's always nice to get out of the car for a short and rigorous high at 10,000 feet above sea level! This was our second time here and we loved the the fresh crisp air and the solitude of the pines in the forest.